Time for God: Don't just smack the hurdle - jump it! Don't just smack the hurdle - jump it! 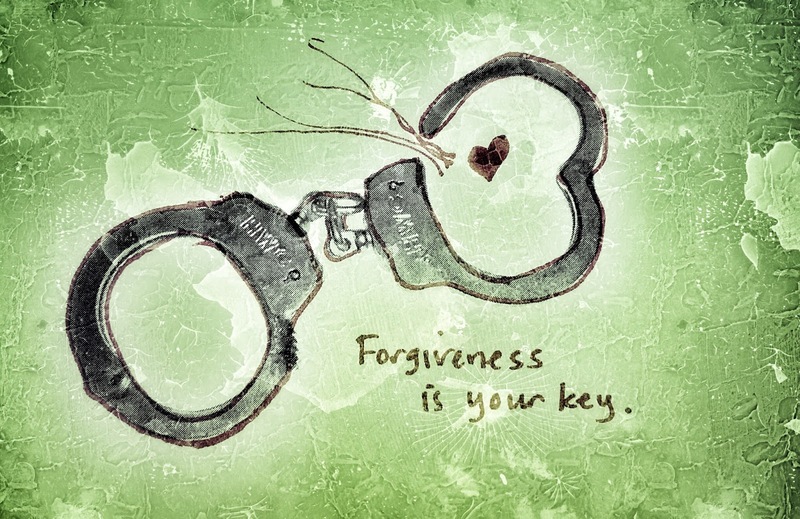 What does it mean to forgive? Let's get technical for a moment, shall we? Easier said than done, right? I'll be honest, I don't really have a hard time forgiving folks...for most things. After all, I have done my fair share of crap over the years and I am thankful for the forgiveness I have received from those around me. Besides, who wants to hold on to anger and grudges? -- those aren't any fun! Forgiveness is hard when referring to something severe. Sometimes we try to ignore it rather than face it head on -- i.e. it seems easier to knock the hurdles down (aggressively) than to jump over them. This has been weighing on my heart recently and, because of that, I have been doing a lot of reading, thinking/reflecting and, well... God has got to be tired of hearing me blab! But, really... I know I am not the only one that struggles with this so I feel compelled to share. If I asked you who was the single most important person to you, you would likely say God, right? You win an award, you thank God. You sit down to a nice meal, you thank God. You get your broken AC fixed in the middle of summer, you thank God. So I think it is safe to say that his opinion is pretty darn important, right?? Well... let me just tell you what He says... "Therefore you shall be perfect, just as your Father in heaven is perfect." (Matthew 5:48 NKJV). But...but... but... we aren't perfect, are we? We can't be perfect! We are sinners! We make mistakes! We are HUMAN! Yes, indeed, you sure are. It doesn't matter what sins or wrongs we have committed because ultimately, with repentance, we are forgiven. That is why Jesus died on that cross -- for our imperfections. So those who have wronged you, they deserve forgiveness, too, since Jesus died for all the "whosoevers" in the world -- not just for you. Maybe you don't think that person deserves it. Maybe they didn't learn their lesson and will do the same thing again next week and next month and 3 years from now. Maybe a piece of your heart is broken due to the pain or heartache. But it just isn't a place to stick your nose. The actions of that person will be something that God will work out with him/her. Not you. No way Jose, think again. That is not why you are here. Paul tells us that God wants us to "...be kind to one another, tenderhearted, forgiving one another, even as God in Christ forgave you." (Ephesians 4:32) If someone is unkind to you, are you to be unkind to them? No. Love them. I'll say it again. Love them. Forgive them. Do good things for them. Be kind. Be patient. Set an example. Luke 6:27 says, "But I say to you who hear: Love your enemies, do good to those who hate you." A lot of people hated Jesus. He loved them. He still does. I know some scars run deep and forgiveness is not something that can happen overnight. Boy, do I know. But it is something to work on - daily. Baby steps. Seek God and ask for him to guide you. He can show you ways to forgive. And, once that day comes, you will feel so incredibly free. I promise you. ***UPDATE: It is funny how this seems to happen. Shortly after writing this blog and publishing it, I was checking out CNN online. I started reading a story called, "Real 'Fault In Our Stars' Couple Takes a Tragic Turn" ...You will have to read the story, but as the girl is talking about God taking her home she says this: "Just love each other," she said. "If somebody makes you mad, just forgive them." A simple and pure statement from someone who is running out of time to forgive. Wait - Aren't we all running out of time?